As the leading independent LPG supplier to homes and businesses in the Conwy area, and indeed North Wales as a whole, Premier LPG has established an enviable reputation for great customer care and the cheapest LPG prices available. Our head office is located in Preston and we have LPG tankers and drivers based at Ellesmere Port. As a result we are ideally placed to service our customers throughout Conwy. With the M56 and M53 motorways on our doorstep we are able to provide our customers with an efficient service and a reliable supply of LPG. We supply to all the main towns in Conwy including Abergele, Betws-y-Coed, Colwyn Bay, Llandudno, Llanfairfechan, Llanrwst, Penmaenmawr and Trefriw as well as to any of the villages in between and any stand-alone farm or building. Call us today on 01772 707011 to find out how much our price of LPG is compared to your current fuel supply. A few years ago they amended the rules to allow LPG users to change supplier and since then we have had many enquiries and have been able to increase our customer base and delivery area. This has enabled many households and businesses to benefit from our keen pricing and great service. It is now quick, easy and free to change your LPG supplier and here at Premier LPG we are confident you will be able to save money by switching your LPG supply to us. Give us a call to talk through how simple this process may be. Conwy has many rural areas where mains gas doesn’t reach and as such LPG has become very popular. We are pleased to be able to service many houses and developments within Conwy with LPG installation and delivery. Many Conwy developments share LPG equipment and live on a metered basis as this proves to be the most efficient and cheapest way of achieving an efficient supply. Our business customers use LPG for a variety of uses as it proves so versatile to them. It has a host of industrial and agricultural uses which we can advise on if you need assistance. Our experience within the LPG industry is built on finding solutions for businesses, great customer service and competitive LPG prices. 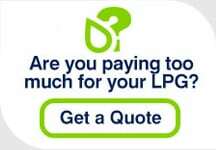 Call us today on 01772 707011 to find out how much you could save on your LPG costs. Conwy LPG users can find more general information on the following pages: Domestic LPG transfers, Metered LPG transfers and Commercial LPG transfers.